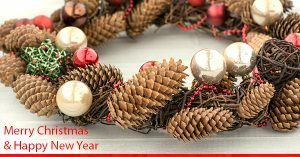 Danihers team would like to wish you and your family a Merry Christmas and a Happy New Year! We would like to take this opportunity to thank you for your valued support and we look forward in continuing and growing our partnership in 2019. Danihers Facility Management will trade as per usual during the Christmas and New Year break. Our service includes 24/7 emergency response.